Pharmapack Europe was first launched in 1997 and became the European biggest event for Pharmaceutical / Medical machinery and devices sector ever since. Pharmapack fair is also covering other fields of manufacturing and business connected to the pharmaceutical industry, such as drug delivery and pharmaceutical packaging. Being a biannual exhibition at first, Pharmapack is now a regular annual event showcasing the latest industry development trends and regulations. Just like all the previous years, Pharmapack 2018 will be taking place in Paris on the 7th and 8th of February. 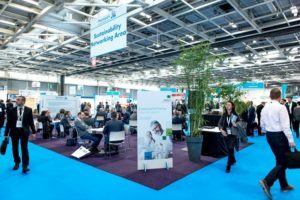 Over the past decades, European pharma exhibition has grown significantly becoming a trendsetting event with over 400 exhibitors and 5000 attendees. In 2017, Pharmapack experienced an increase in new exhibitors by 16%. A total of 411 manufacturers and industry experts from 35 countries were showcasing their latest achievement at Pharmapack 2017. The top 5 countries at Pharmapack 2017 being: France (33%), Germany (22%), Switzerland (9%), Italy (6%) and USA (5%). Over 2 days, 5290 visitors attended the exhibition, furthermore around half of the visitors came from France and the other half were international visitors. Pharmapack in 2017 was an exceptional event featuring business networking workshop Live Pharma Connect, a full 2-day conference, Learning Lab presentations, Innovation Gallery and a Start-up Hub. As many years in a row, Arburg is going to exhibit their plastic processing machines at Pharmapack 2018. How is injection moulding connected to the pharmaceutical industry? Medical technology – clean room and packaging sectors in particular – involve plastic part production. Hence Arburg specialists will be able to present an extensive range of plastic machines to cover the needs of the pharmaceutical industry. Visitors of Pharmapack 2018 will be able to see stainless steel version of famous Allrounder injection moulding machines as well as Freeformer model suitable for industrial additive manufacturing. Further trends include high-speed, high-performance machines for pharmaceutical packaging and the use of complex moulds, including cube-mould technology. 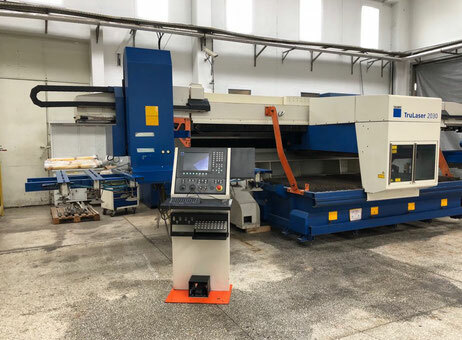 Here, there are increasing synergy effects with the packaging industry, where Arburg also possesses a high level of expertise and sophisticated machine technology. The “Packaging” versions of hybrid and electric Allrounder injection moulding machines are designed for high-quality and efficient high-volume production and are therefore ideally suited to the manufacture of thin-walled mass-produced items, closures, pipette tips or syringe barrels. They are characterized by short cycle times, reproducibility, reduced energy requirements, as well as process stability and a long service life.